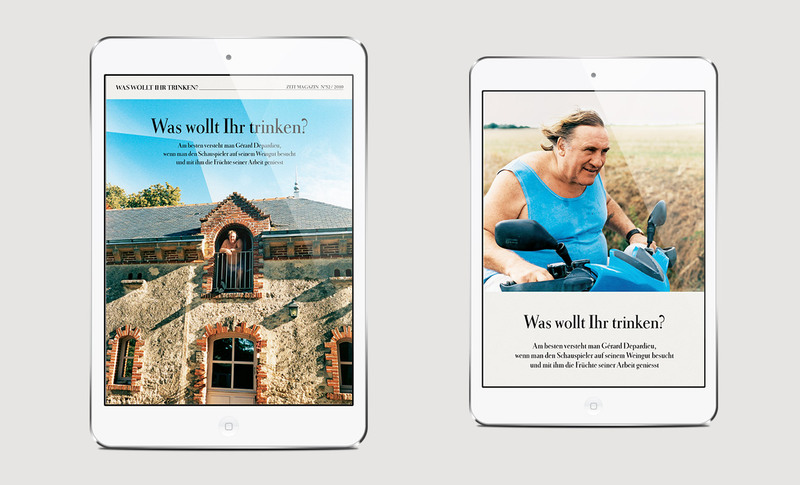 Hybrid iPad App for Germany's second biggest weekly newspaper. 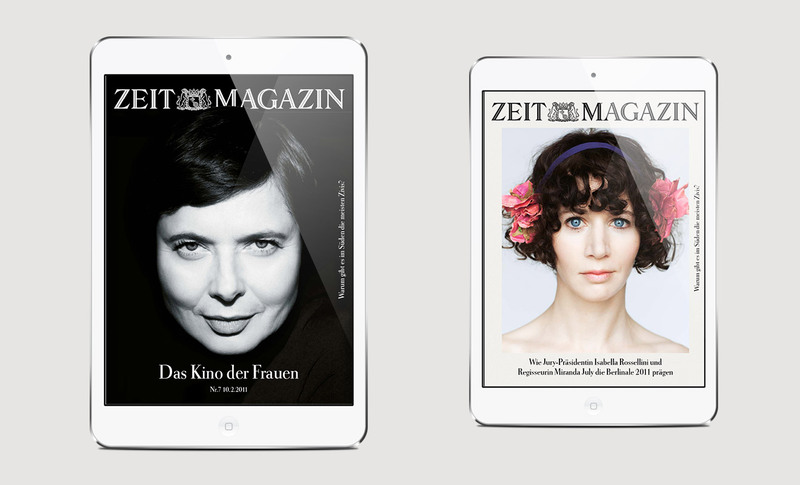 ZEIT MAGAZIN is the magazine that comes with the DIE ZEIT newspaper. It is a parallel set of articles that are downloaded with the corresponding newspaper issue. My task was to define the UI and the complete visual language of the app, as well as prototype the UX. 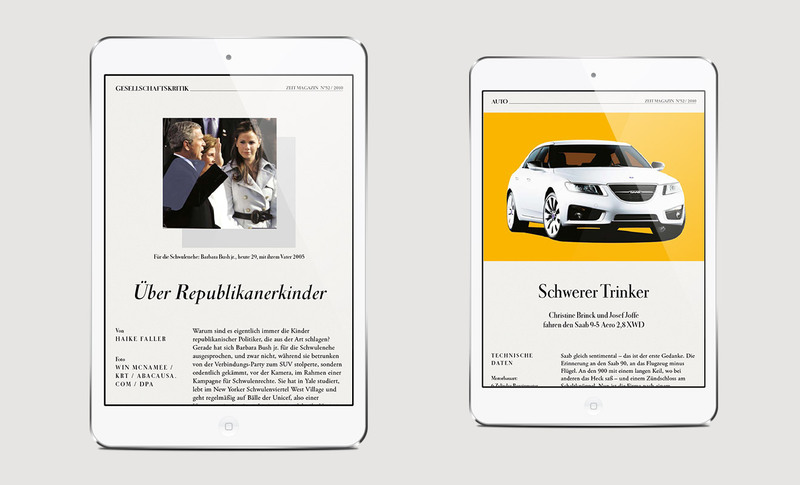 This was again a collaboration between the editorial management of the newspaper and the team at artundweise. 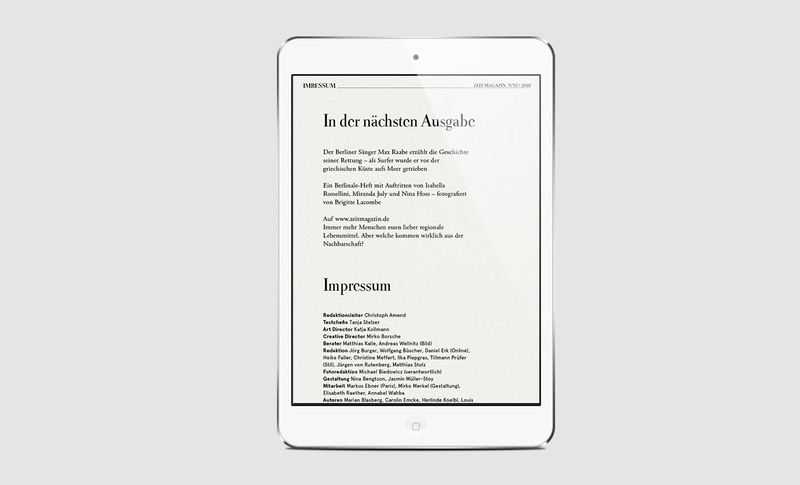 The output was a PDF prototype to test the readability, design and overall feel and the design for the different article categories of the magazine. Disclaimer: All graphic and photographic material is owned by the client. "Titelblatt" is the front page of the magazine. The clothesline is the navigation metaphor of the app. 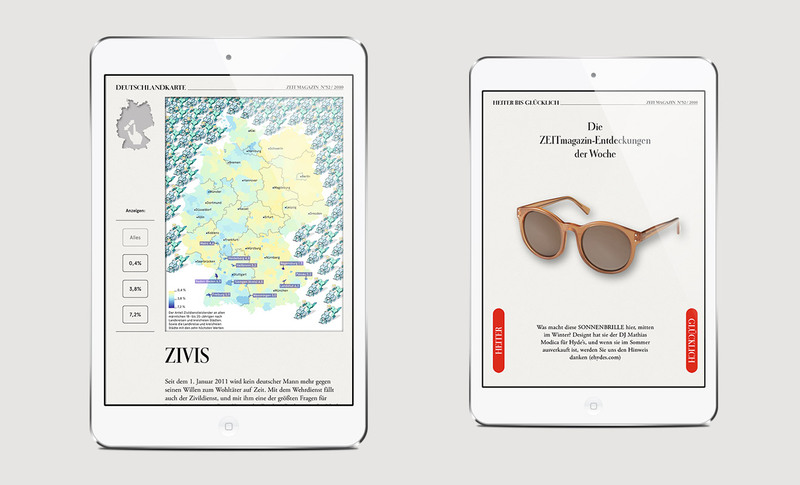 It arranges all templates on a clothesline and lets you browse through the magazine. 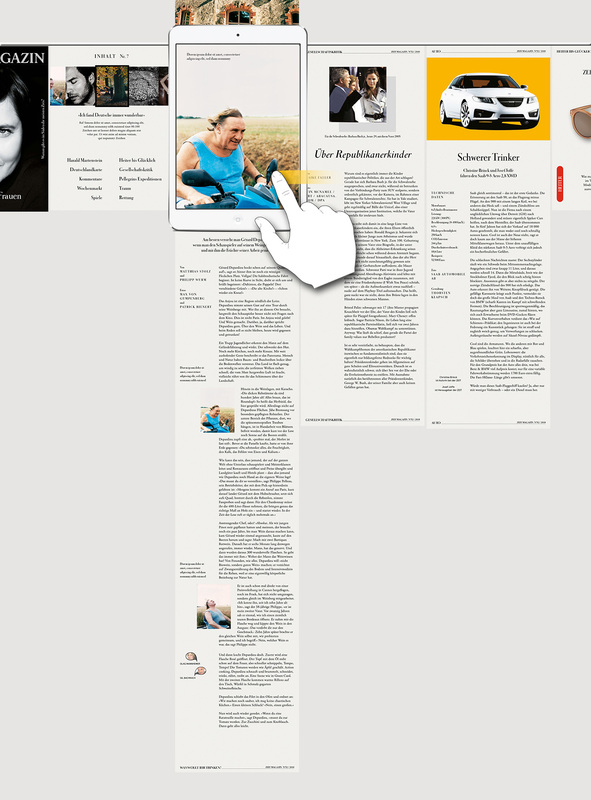 These are the designs for the most read column types of the magazine. Each receives a custom HTML5 template and a custom design. This is the final page of the magazine with all the credentials of the staff.